Last week on Instagram I mentioned discussing our Thanksgiving menu with my Mother in Law. 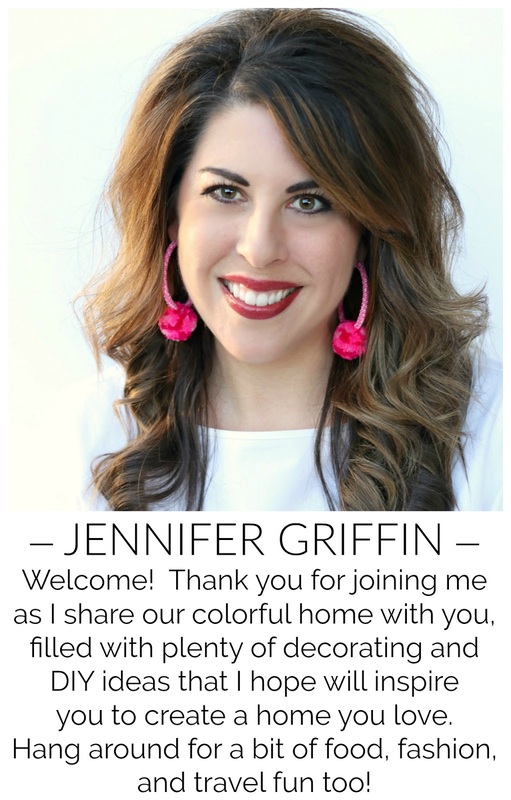 She's hosting this year, but I'll be bringing homemade Chocolate Pie, Pecan Pie, and Mac & Cheese. I had several people ask about my chocolate pie, so I thought I'd share the recipe with you here if you want to add it to your menu this week. 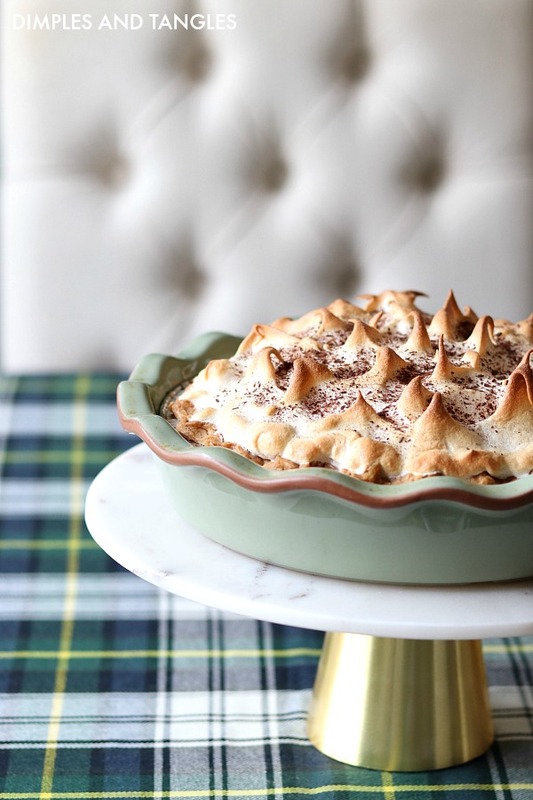 This is my Grandmother's recipe that my Mom made often as we grew up, it's definitely one of my favorite desserts that I often request for my birthday. It's straightforward and made with simple ingredients, nothing fancy... just delicious! Here's what you'll need, you likely have everything you need on hand. 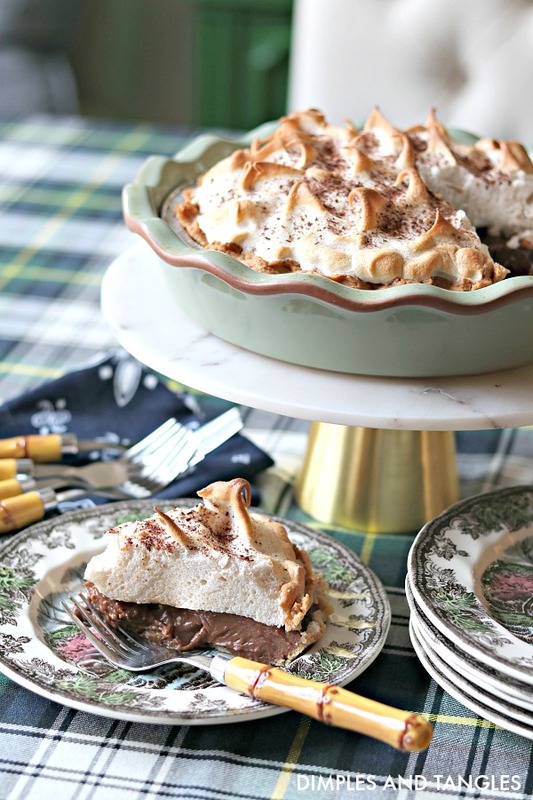 I've made it no secret here with other recipes I've shared (Pecan Pie, Bacon & Cheese Quiche) that I find frozen pie crusts perfectly acceptable to use. 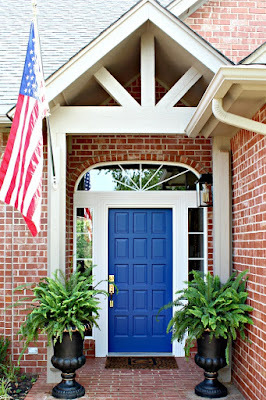 If you'd rather make your own, be my guest! 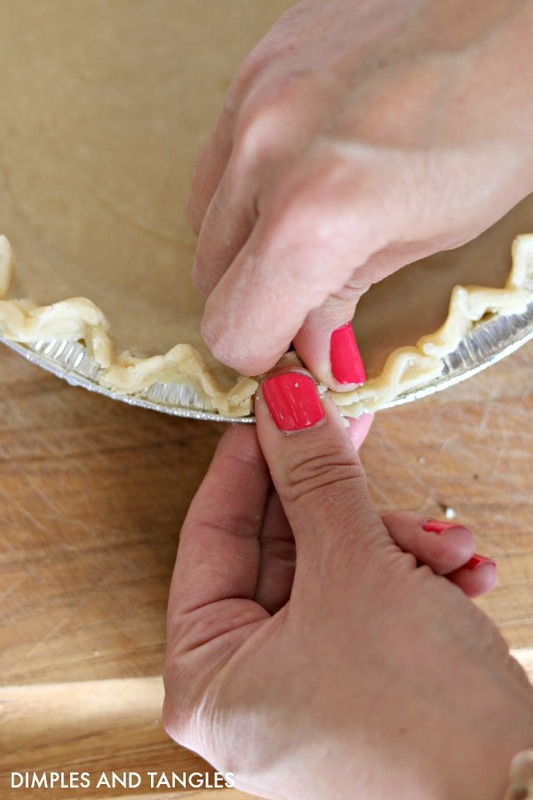 Set frozen crust out and allow to thaw. I like to re-crimp the edges, even though I take a shortcut with the frozen crust I like to make it look a little prettier! Bake empty crust according to directions on package. 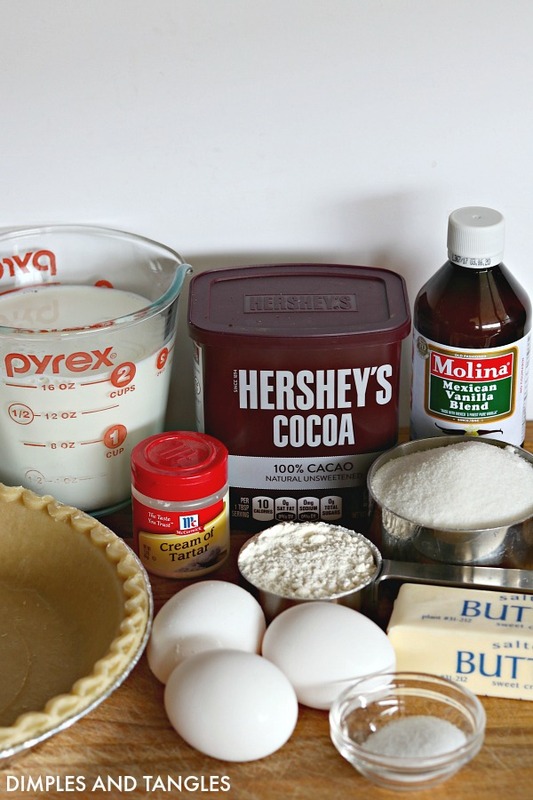 Mix the first 6 filling ingredients in a saucepan, gradually adding milk and vanilla. 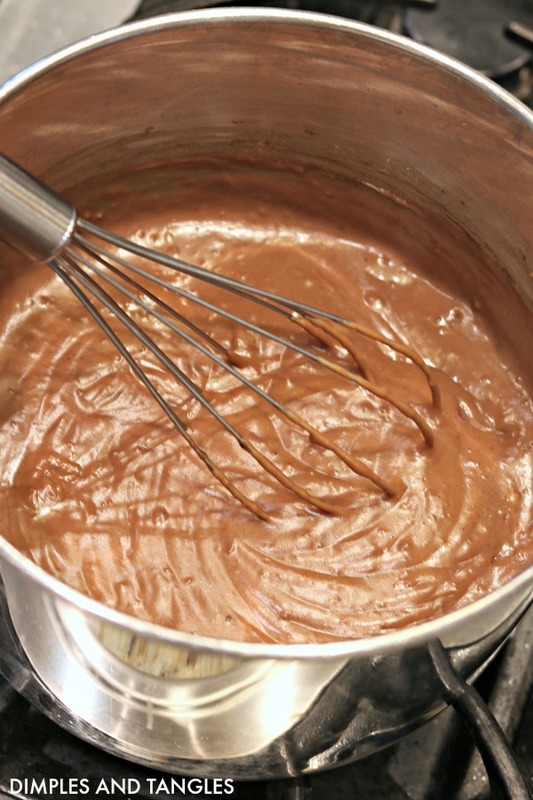 Stir constantly with a whisk on medium/high heat until filling becomes thick (pudding consistency). 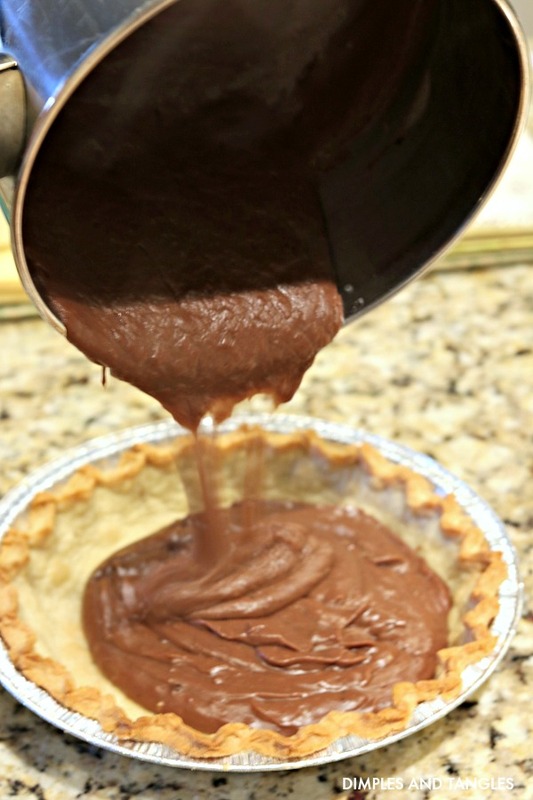 Pour filling into baked pie crust and smooth top. 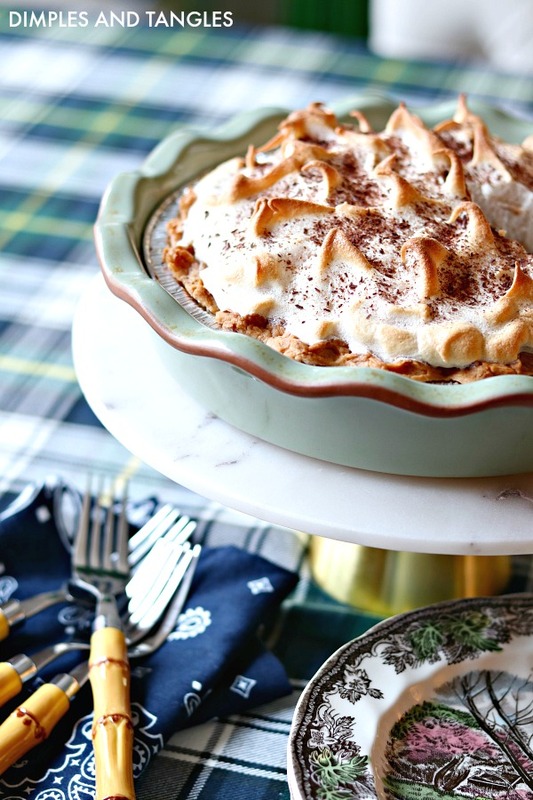 Prepare meringue by using a hand mixer to mix the eggs whites, cream of tartar, and vanilla in a glass or metal bowl. 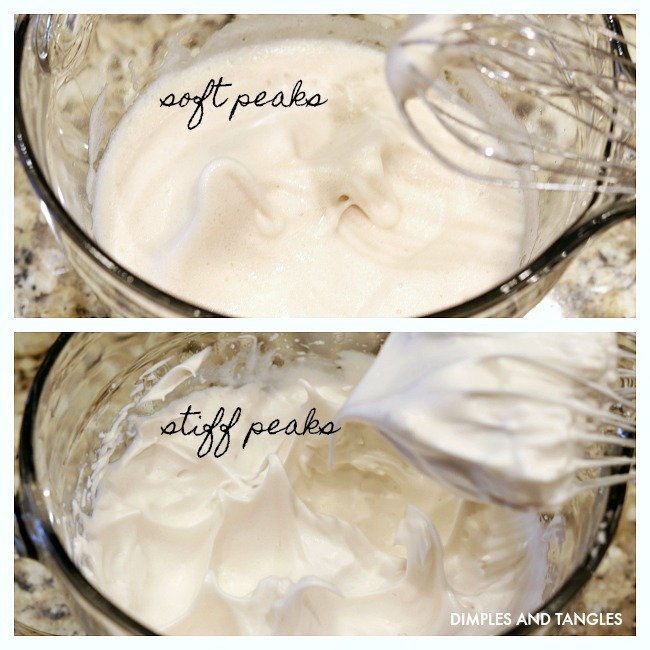 Whip until soft peaks form, then continue mixing while gradually adding sugar until stiff peaks form. 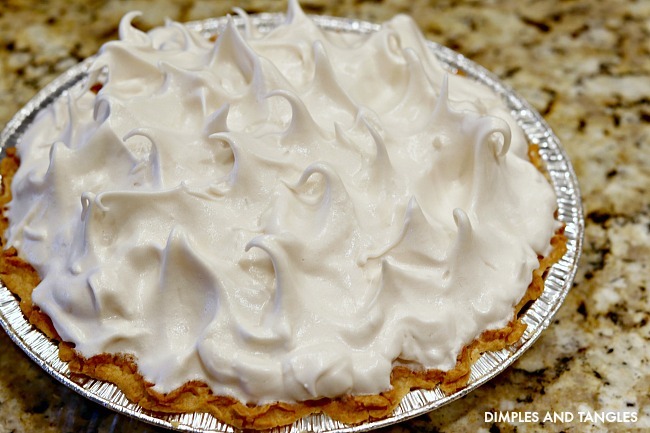 Gently scoop meringue out onto hot pie filling, then spread to cover, sealing meringue to edges of crust. Have fun making the top pretty if you'd like to! 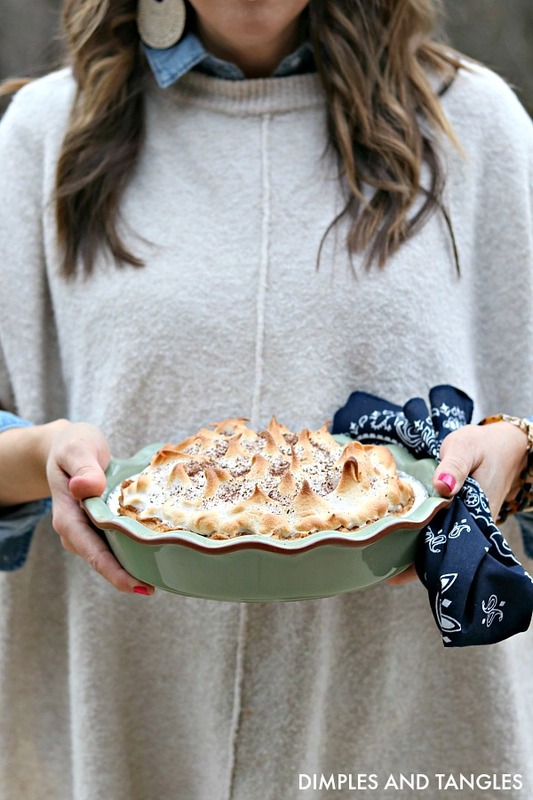 Bake in 350 degree oven for 10-12 minutes until meringue is golden brown. If peaks are getting too brown too quickly, loosely lay a piece of foil over the top until cooking time is over. 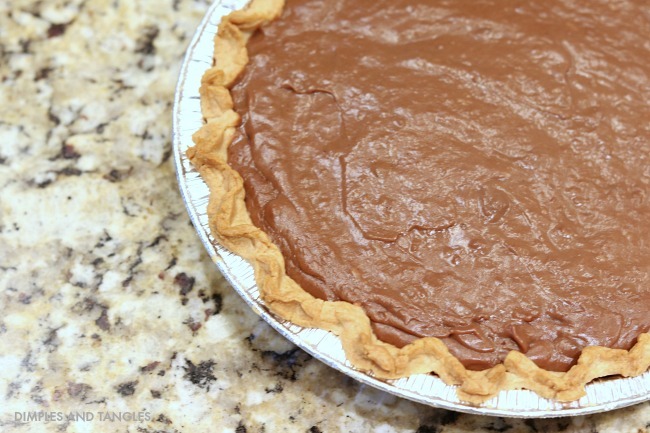 If desired, shave a bit of chocolate to sprinkle on top of cooled pie. 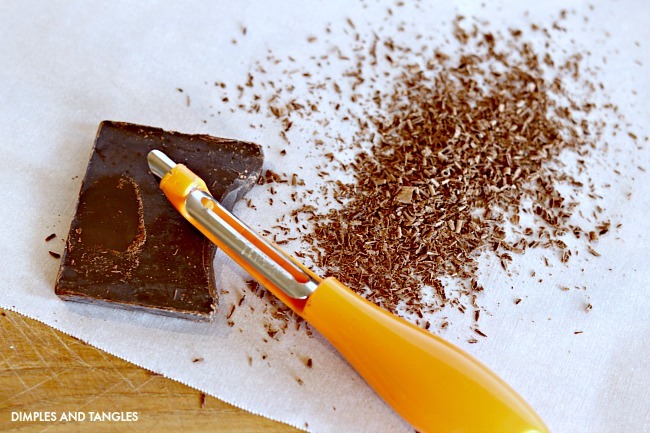 I just used a vegetable peeler along the edge of a chocolate bar. 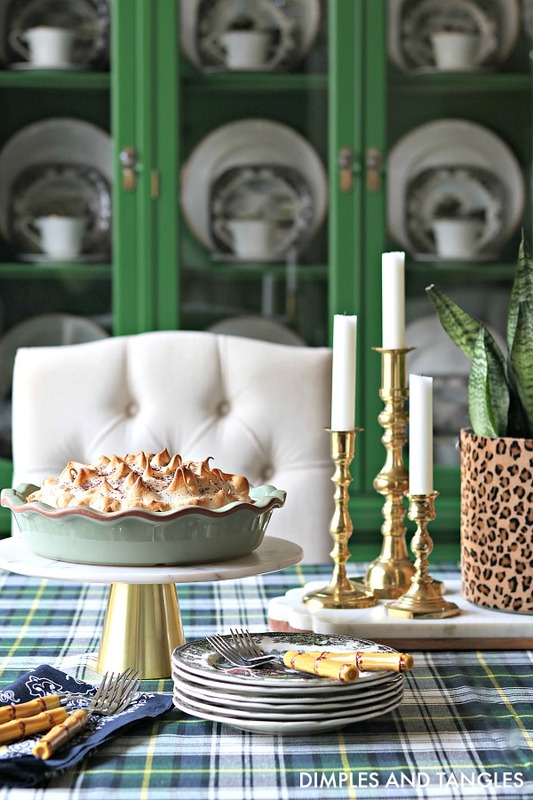 Slip your pie in a pretty pie plate for a nicer presentation and prepare to watch it disappear! Denim Shirt || Sweater both on sale! 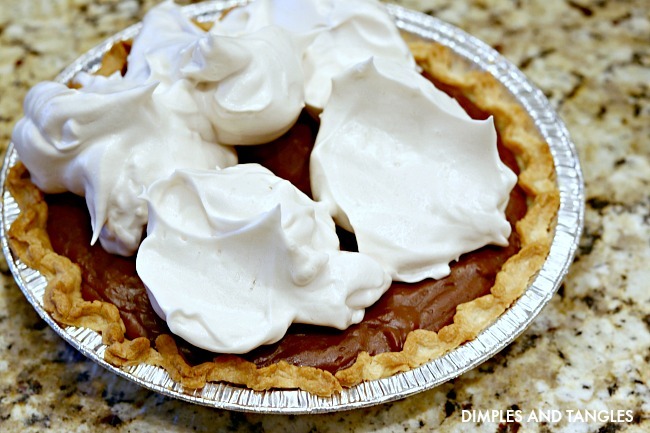 This pie is delicious warm, but does best when allowed to sit and cool for a bit before slicing. I actually prefer it cold or at room temperature. 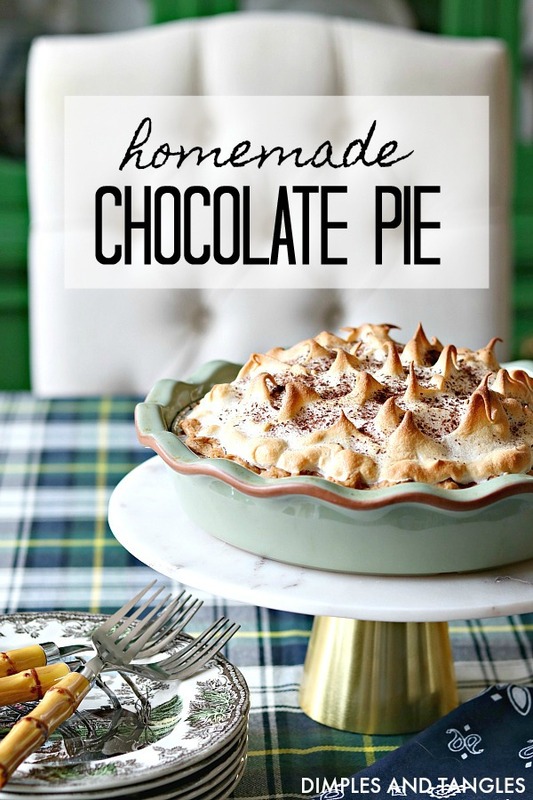 This is exactly how my mom used to make her chocolate pies, but of course nothing was written down. Thanks for posting this!